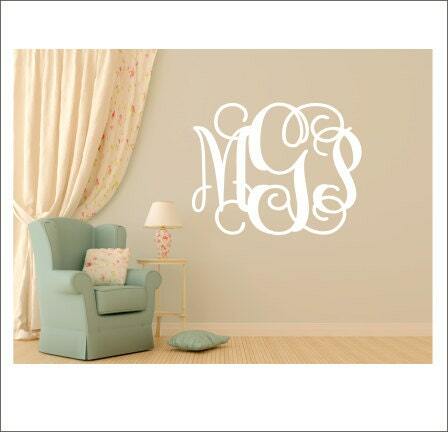 This gorgeous monogram would be right at home on any wall! 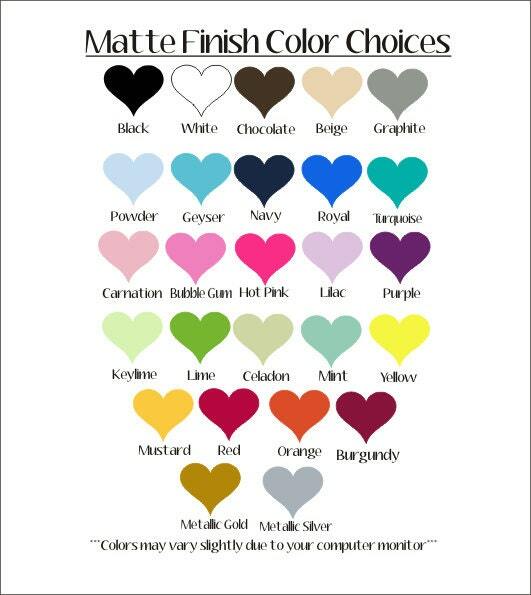 Use it over a crib, bed, or even dorm rooms! Cut from the highest quality indoor matte finish vinyl, it will give you the look of three coats of pain, but without the time or mess! Decal is applied in one piece using transfer tape. Please make size/color selections from drop down menus above. Please see shop policies before ordering! Vinyl is NOT suitable for all wall/paint types! Please Note-Decal may not be scale to size in example pic. Your decal will be the size you select from options above. It's always best to measure first! The decal was perfect and looks great above my daughter's bed! She was so nice and sent me a sample of the vinyl to make sure it matched. Communication was awesome. Order from beginning to end was super fast! We LOVE the monogram and highly recommend!! !